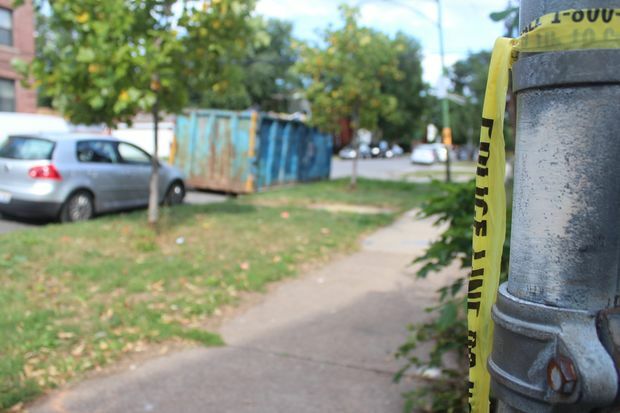 Laquesha Holmes, 33, was shot to death in Logan Square on Wednesday, officials said. 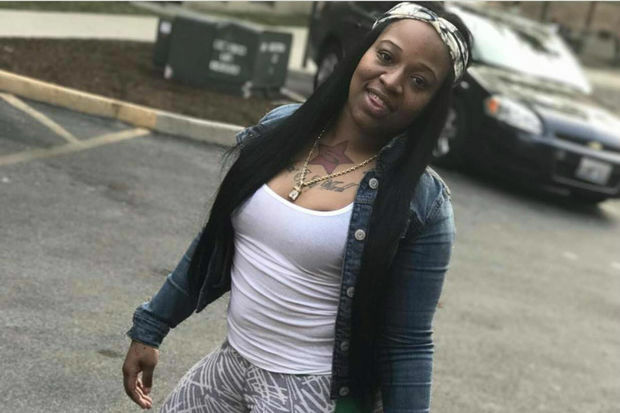 CHICAGO — A woman gunned down in Logan Square on Wednesday has been identified as 33-year-old Laquesha Holmes. Holmes, a mother of two, was shot 12 times by a man who chased her down near Spaulding Avenue and Cortland Street, officials said. The shooting happened about 10:30 a.m. Holmes was walking when a man got out of a car, ran after her and fired shots, police said. The man then got back into the car, described as a black Dodge Charger, and drove away. Holmes, of the 6700 block of South Chappel, was taken to Stroger Hospital. She was pronounced dead at 11:02 a.m., according to the Cook County Medical Examiner's Office. In a letter to constituents Thursday evening, Ald. Joe Moreno (1st), said the shooting "stemmed from a domestic dispute." The alderman didn't provide any further information, citing an "ongoing investigation." Friends and relatives posted photos and videos of Holmes on Facebook after her death. "I love you so much," one woman wrote. "It can't be real. [Why] god?" "Man, chunky, I love you ta death. I can't believe [you're ] gone. Wtf we [supposed] to do now?" another person wrote. Others called the attacker "sick" for shooting Holmes so many times. After the shooting Wednesday, one mother, who spoke on the condition of anonymity, said she was in her living room with her children when she heard multiple shots fired. She immediately threw the kids on the ground. "I looked out the window and saw a black car parked with keys in the ignition," said the woman. She said the gunman continued shooting as he ran back to his car and fled eastbound. "It's crazy. I'm still traumatized now." After the shooter left, another neighbor said, others gathered around Holmes, who lay next to a dumpster outside a home being rehabbed. "No one wanted to touch her [because] she had a lot of bullet [wounds]. I moved her hair out of her face and tried to speak to her. I could see she was breathing really shallow because her back was moving. Her eyes were open [then] rolled back a little," said the second woman, who declined to give her name.